“The true value of something is a direct result of the energy and intent that is put into it”. You sow, you reap. You work, you get paid. You love, you get love. The dynamic is simple and so beautifully true, yet in our world it is difficult to accept. How can the value of my 15 year relationship end in failure when all the energy I put in was love? How can my four months of studying end in failure when all I put in was dedication? Everyone is actively trying to lead a happy life, why is it that everyone is still suffering? Why is it that the true value of our lives is not peace, even though we spend a lifetime intending to achieve it? 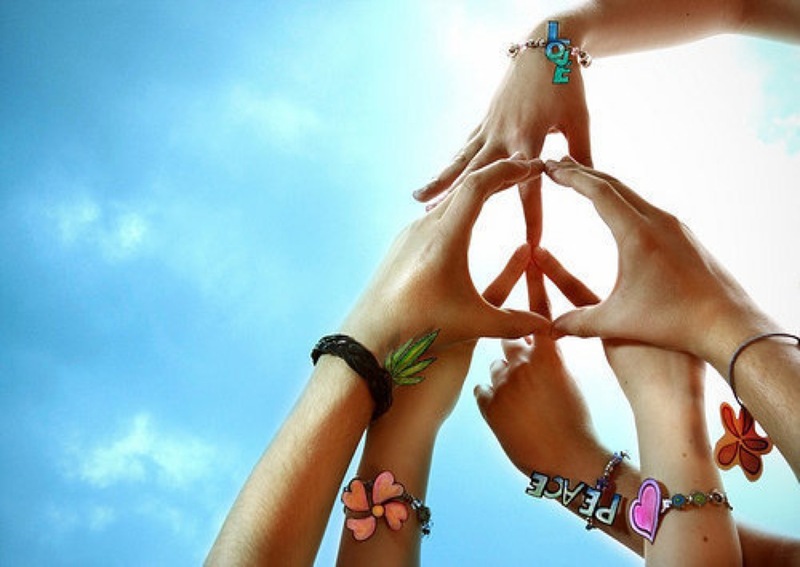 The word “peace” is defined as, “the cessation of war or violence, or the achievement of tranquility”. There cannot be tranquility and war, it is either this or that. The human race has declared war on everything for centuries; countries, animals, plants, the ocean, the sky, the atmosphere, space, time and the list goes on. While intelligence is a strength of humanity denial is even stronger, if you ask anyone if they are at war they will naturally say no. The destruction that is as apparent as the sun is not anyone’s fault it is “theirs”. The wars that are happening are not anyones fault they are “theirs”. If you ask anyone who is causing the violence of our world, the answer comes in a multitude of people, corporations, countries, institutions, beliefs, ideals and the list goes on without anyone ever even considering that it might be us. We do not appreciate life. The cow is treated miserably and lives a repulsive life only to end up on our plates and we do not even finish them. We have lost value for its life because we are not the ones killing it, there is no blood on our hands. Even the words halal and kosher have lost meaning becoming sectarian traditions focusing only on how an animal is slaughtered rather than how it has lived. We do not value life. We are hypertensive and diabetic and walk around with irritable bowels yet we continue to inject ourselves with salt and sugar and sludge. We don’t care that our fruits are filled with pesticides, our meats are pumped with hormones and our bread is modified into gluten, we continue to insult our bodies and bring life to an earlier end completely ignoring the sacredness of living. We do not respect life. Our time is wasted waiting for society to dish out achievements in a system it has created to decide who is more worthy, and then enjoy the fruit of our labor for milliseconds. We do not encourage the realization of ones own skill set. Instead we channel our children into rigid curriculums created to weasel out a minority making the majority an average of a bell shaped curve, stripping them of a contribution unique to their existence. We do not love life. We love status and power and fame. We love importance and hierarchy and glitter. We do not love the peacock because it decorates our soul, we love its feathers on our coats. We do not love the tree because it provides us with breath, we love it as doors and tables and chairs. We do not even love ourselves, we love the idea of ourselves creating conflict, hate and pain. We do not trust life. Fear drives us into careers that make it a struggle to get out of bed because a job is money, and money is happiness. We have relationships for the sake of marriage and pass the insecurity of loneliness to the children they bare. We envy each other’s slice of pie and compete disregarding the one baked especially for us. We do not believe that we are born to be at peace every moment of our lives, we believe we are born to become it and never succeed. The truth is everyone is at war with themselves and is causing war around them, and is drenched in denial to the point of blindness. I am every war in the world, I am all the violence. I do not value, respect, love or trust life yet I am expecting peace in return. The true value of something is the direct result of the energy and intent that is put into it and look at all this filth. I am sacred and it is time I become it. This body is a temple. This heart is a sun. My mind is the universe and I am of love. I am of peace. I am of abundance, just like you. The world inside is the world you will see and they exist no longer now that I am free. Amen.